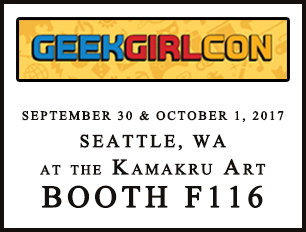 Gears turning for the art book and Geek Girl Con! Things are starting to move a little more for the dragon art book now that I've spoken with the printer a few times, talked about what papers to use and all the little details that make up the main structure of the book. The title is still in the air, as "Smaugust" doesn't fit the series very well anymore, and while last year's book was titled "Month of Dragons", perhaps this year's title will encompass the watercolor medium.